Dr. 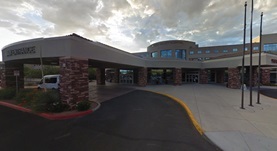 Guy Borders graduated from the University of Texas Medical School in 1977 and did his internship at the University of Arizona where he also completed his residency training. He is board certified in the field of diagnostic radiology and neuroradiology. 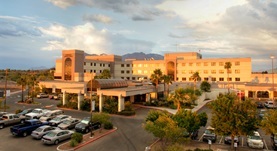 Currently, he practices at the Northwest Medical Center-Tucson and Oro Valley Hospital. Dr. Borders has also contributed to two research papers and is a member of the Radiological Society of North America. Dr. Guy Borders has contributed to 2 publications. Location, size, and distribution of mediastinal lymph node enlargement in chronic congestive heart failure. Erly, W.K., Borders, R.J., Outwater, E.K., Zaetta, J.M., Borders, G.T. ; J Comput Assist Tomogr. 2003-07-01. Gadopentetate dimeglumine as a contrast agent in common carotid arteriography. Erly, W. K., Zaetta, J., Borders, G. T., Ozgur, H., Gabaeff, D. R., Carmody, R. F., Seeger, J.; AJNR Am J Neuroradiol. 2000 May.